A poll from RetailMeNot.com shows that around 25% of Americans consider tax preparation time-consuming, and nearly 20% find it to be confusing and expensive. 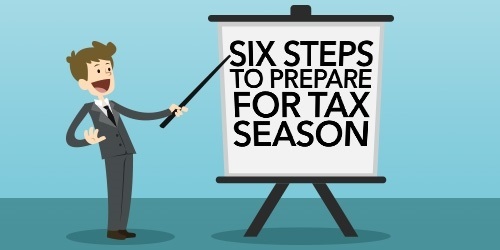 It’s not surprising then that, according to the Internal Revenue Service (IRS), up to 25% of Americans wait until the last two weeks before the deadline to prepare their returns. April 15th is less than one month away, but you still have time to file your taxes. Here are a few essential tips for the last-minute tax preparer. Whether you’re planning today or next week, get all of your documents together now. This will make preparing your income tax return easier for you or your accountant. The most common documents you’ll need are your Social Security number, W-2s from employers, 1099-INTs for any interest earned, receipts for business, healthcare, and education expenses, and 1098s for any mortgage interest statements. TurboTax offers a great tax preparation checklist to help you gather the paperwork you’ll need. Waiting until the last minute can have its benefits. If you have a traditional or Roth IRA, you have until April 18th to make a final contribution for this tax year. For this tax year, IRA contribution limits are $5,500. If you’re age 50 or older, you can contribute an additional $1,000 to your IRA accounts, adding up to $6,500. Remember, this limit applies to all of your Roth and traditional IRAs — not per IRA account. Will you be hiring an accountant, using a tax service, or filing yourself via the good old-fashioned snail mail. If you don’t currently have a tax professional, you may have trouble finding one who can help you so soon to the deadline. However, if you have multiple investments, want to claim deductions, or have other complex filing needs, it may be worth the time and money to work with an accountant. When people file last minute, they often rush through and make simple mistakes. However, even small mistakes can delay a refund or cause big problems with filing an amended return. Some of the frequently made mistakes include incorrectly written information (such as a wrong Social Security number or address), failure to sign the tax return, and math errors (either with adding or subtracting). One researcher reported that the third most common error was incorrectly writing their Social Security number! Even if you’re filing last minute, take the time to check to see if you’re eligible for some of the easily forgotten and often-missed deductions. Did you donate to charity? You’re eligible for a deduction. Just make sure you have acknowledgments for your donations ready. Don’t forget about any automatic charitable contributions that directly come out of your paycheck. Did you take any college courses? Even if you only took one course, you could be eligible for a deduction. Lastly, if you bought or refinanced your home and paid points to secure your loan you can deduct that in full. Review your 1098 statement and settlement statement to see how many points you paid. If it’s just not in the cards for you to complete your tax return by April 15, apply for an extension, which gives you an extra six months to finish your paperwork. Whatever you do, make sure you file and pay the IRA at least 90% of your tax liability or you may face a penalty. An extension provides you additional time to file — not to pay. If you are unable to pay what you owe, installment payment plans are available for those eligible.